The Golden State Warriors vs. Eastern Conference All-Stars in the Finals -- Who Wins? The Golden State Warriors vs. Eastern Conference All-Stars in the Finals — Who Wins? Although the NBA All-Star Game doesn’t have the traditional East versus West matchup the fans are used to (a draft places teams from both conferences on the same squad), the new format has made a very competitive game over the last couple of seasons. Casual and hard-core NBA fans seem to think the Golden State Warriors will run away with the NBA championship this year. We had to ask ourselves how the Warriors’ starting five would hold up against five of the Eastern Conference All-Stars in a best of seven series? Let’s take a look at the matchups and take a guess about who would come out on top. This would be a very intriguing matchup on paper. Kemba Walker was an All-Star starter, but we have to go with Ben Simmons at one of the guard positions due to his versatility on both ends of the floor. Why wouldn’t we have Kyrie go up against Curry? Because we know on the defensive end of the floor, Thompson would look to shut down the Celtics’ dynamic scoring guard. Irving has had an up and down 2018-19 season in Boston, but he can still expose Curry on that end of the floor. Leonard and Durant are arguably the best two-way players in the NBA (sorry Paul George). Kevin Durant is a four-time scoring champion, and Leonard is the best lockdown defender in the NBA. He can also put up MVP-caliber numbers on offense when needed, and is flourishing in the Raptors’ offense this year. 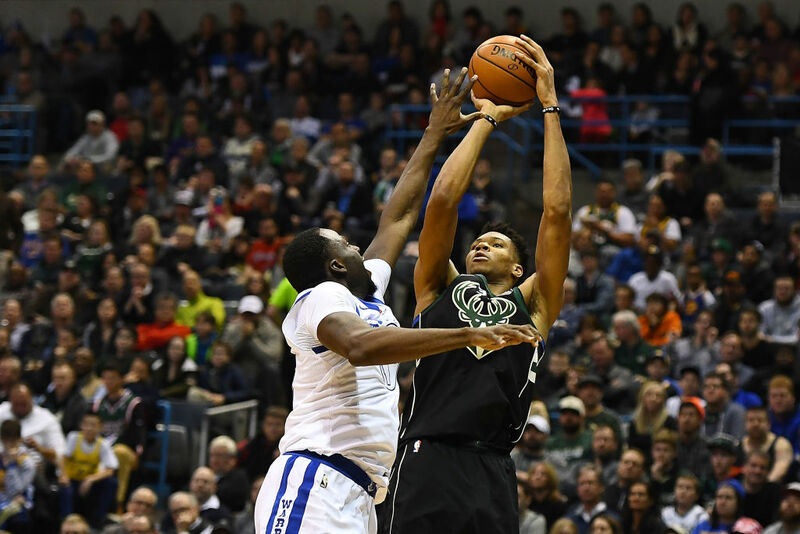 The “Greek Freak” has quickly blossomed into one of the league’s best players and should garner a lot of MVP votes this season. Atetokounmpo is averaging 27 points and nearly 13 rebounds per game, while Green has seen his numbers dip tremendously this year. Two of the games best big men in a seven-game series? Sign us up! Embiid keeps looking like an all-time great center as his career progresses. He can put up points from anywhere on the floor and is capable of shutting down some of the games best players. 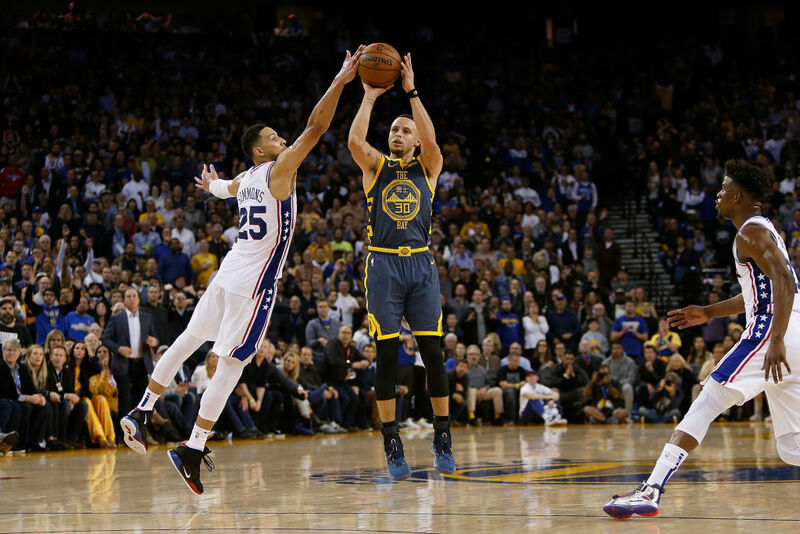 This would be an excellent seven-game series on paper, and although the Warriors have the edge on the perimeter, the Eastern Conference All-Stars have the defense to slow down Curry and Thompson enough offense to squeeze out a seven-game series win. Who do you think would win?